Medela Harmony Manual Single Breast Pump. Harmony is a manual breast pump for occasional use, designed for moms who nurse their babies for most feedings. 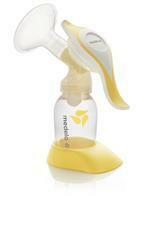 Harmony features the original 2-Phase Expression technology only found in Medela breast pumps.